I frequently buy books about car rallying and recently I added “Driven” to my half vast library of rally books. 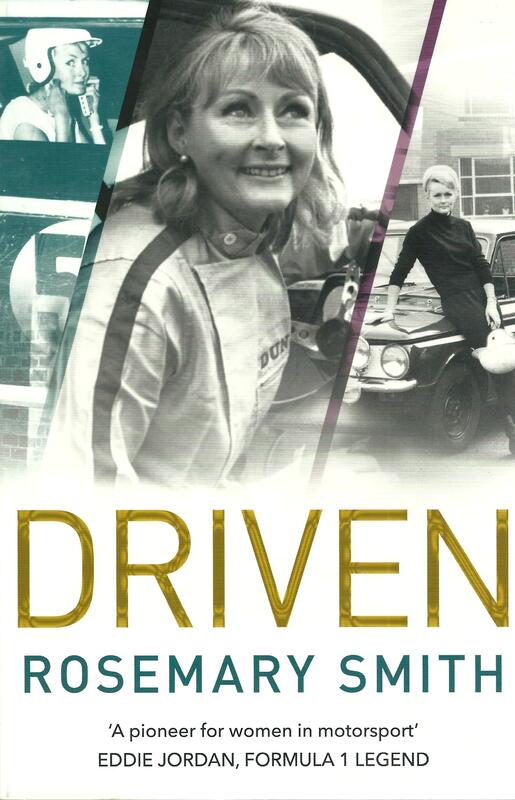 Driven is an autobiography (this word seems appropriate in this case) about Rosemary Smith. Smith was a top international rally competitor in the 1960’s era. She certainly was very well known due to he abilities behind the wheel and her photogenic looks. The book is very personal book. I bought the book for the rallying stories, but I was surprised by the amount and detail about her personal life. Despite the travel and interesting life style that she was afforded by her rally and racing career, it is clear that she had many difficulties and challenges in her life. While certainly these were major a part of her life, their inclusion in this book was not the type of rallying stories that I was interested in. However, I did learn a new word though – “snogging”. I had to look it up; half expecting it to not be in the dictionary. 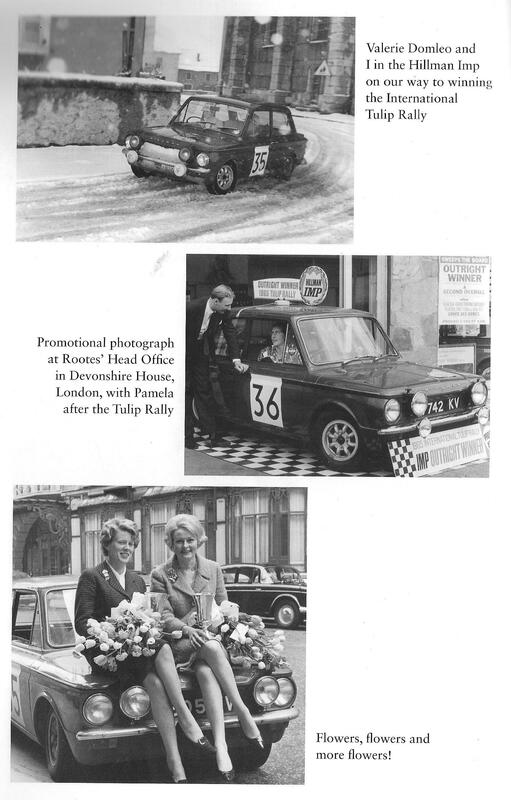 Rosemary Smith is probably best known for her rally success in a Hillman Imp. 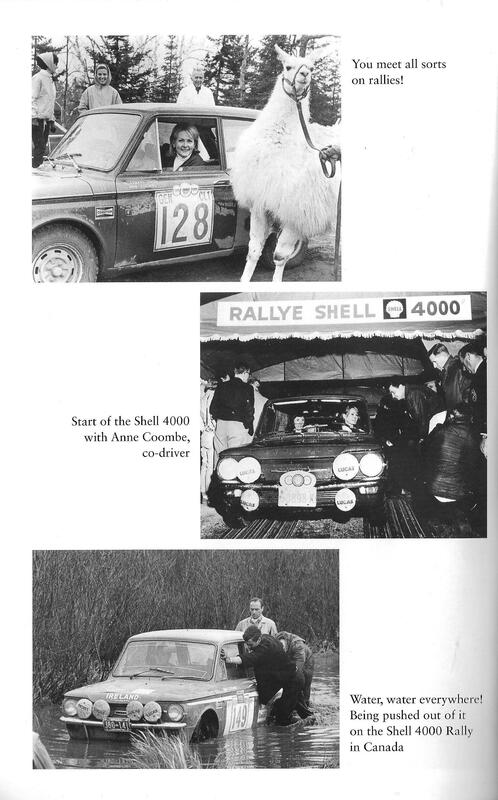 With this car she was the outright winner of the 1965 International Tulip Rally. The images in this post were taken from her book. While she is best known for her exploits in Europe, Smith did compete in North America; taking part in Canada’s Shell 4000 rally in 1966 and 1967. She won the Coupes des Dames both times and in 1967 she finished 13th Overall in afield of 93 starters. The book is a good read. For my interests, I would have preferred an expansion of the rally stories at the expense of the personal stories, but I’m not a book editor (with good reason). I bought my book at very good price, so I am satisfied that the book is good value and a worthy addition to my library. This entry was posted in Uncategorized and tagged Rosemary Smith. Bookmark the permalink. A “half vast” library? That’s some clever word play there, Steve. Can I use that if I ever need it? Seriously: thanks for posting that review. I had forgotten about the Shell 4000 and I must do some research on that old event.